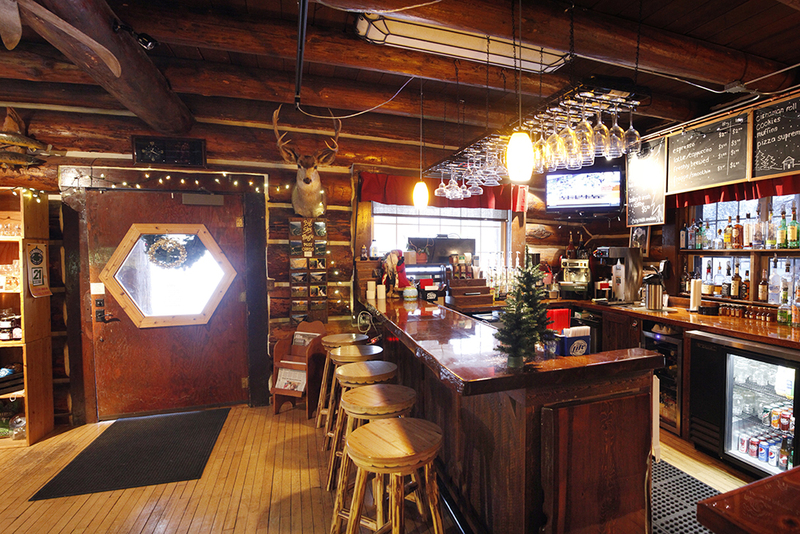 Situated in a scenic mountain valley in the heart of beautiful Montana. 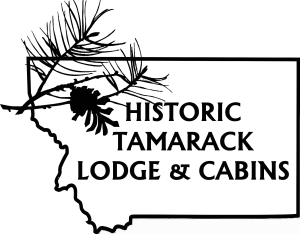 Situated in a scenic mountain valley in the midst of the Montana Rockies, the Historic Tamarack Lodge & Cabins embodies a classic ambiance with modern amenities for a year-round getaway in the Crown of the Continent. 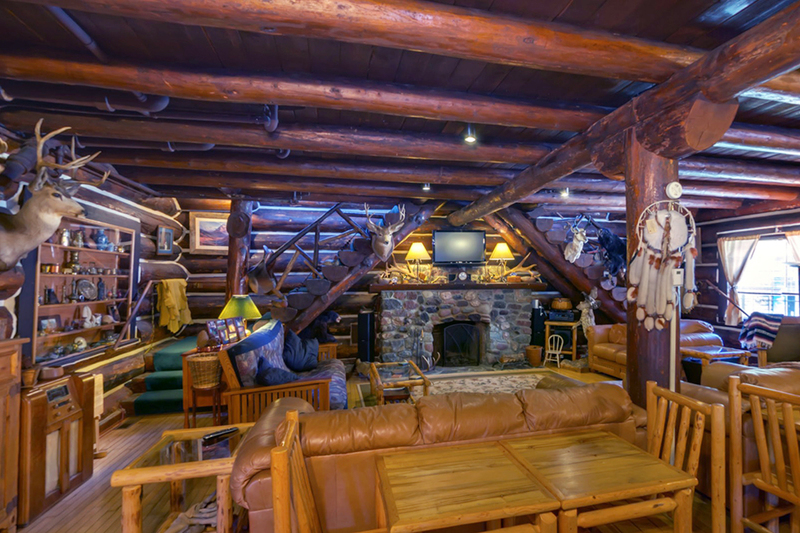 Originally constructed in 1907, the lodge maintains its rustic charm with a log cabin design, placing its long history alongside modern updates that make for a stay in comfort and relaxation upstairs in our classic lodge rooms. Historic Motel Units laid out in fourplexes provide budget accommodation adjacent to the lodge, with 18 contemporary cabins ranging through the property for a group- and couple-friendly retreat in the forest. 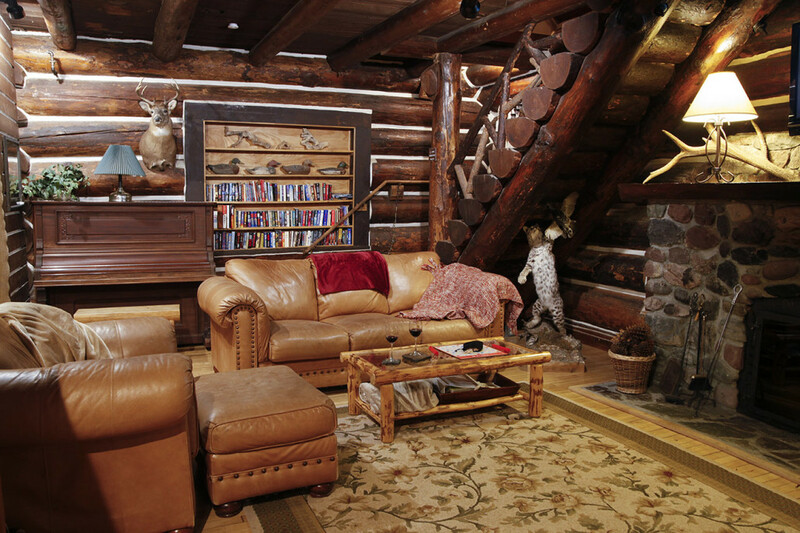 All guests are free to relax in our Lodge Great Room and enjoy the character of the lodge throughout their stay. 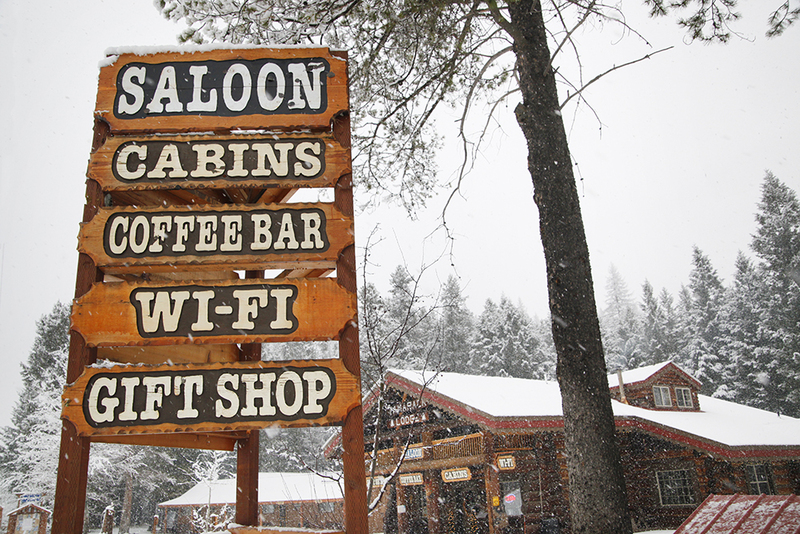 Sip on a tasty beverage from our Saloon and coffee bar, or enjoy a meal from our restaurant while you relax by the fire on a snowy winter day or unwind from a day exploring the great Montana outdoors. 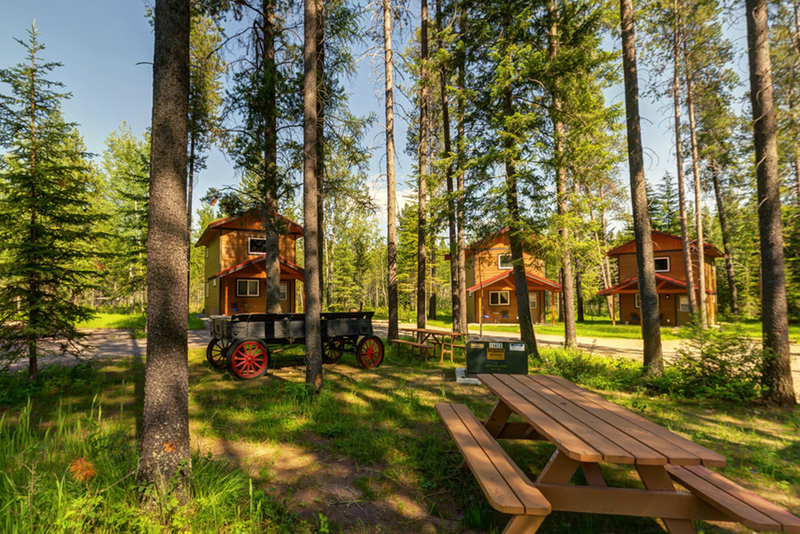 With Montana’s Flathead National Forest in your backyard and Glacier National Park your next door neighbor, the Historic Tamarack Lodge & Cabins offers the perfect setting for your next family vacation, corporate retreat, special event, or weekend getaway! 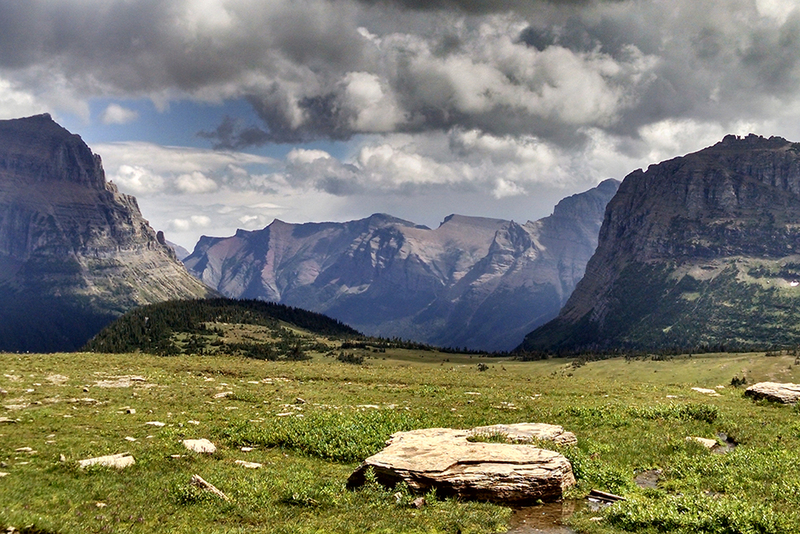 In 1862, a group of men from a Minnesota Masonic Lodge met in the breathtaking Montana Rockies. In the early 1900s they built the Belton Masonic Lodge to stay in while they visited Glacier Park. 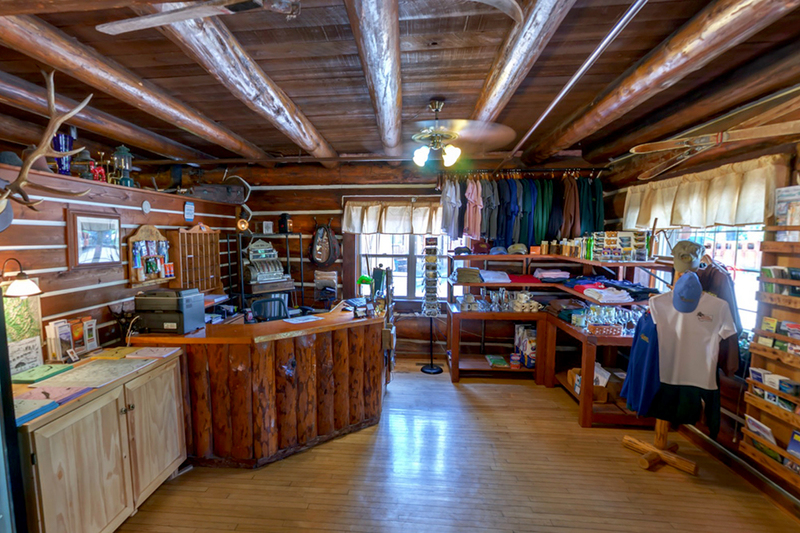 The Lodge was originally located by the train station in Belton–now West Glacier–and served as one of the first visitor centers for Glacier National Park. The lodge welcomed passengers alighting from the train at Belton as they awaited directions and transportation to their lodging. When West Glacier School District formed, the lodge was sold to the Rowles family and moved by its new owner, log by log via logging trucks, to its current site. Reconstructed in a true labor of love, it continued to serve visitors to the area as an inn. 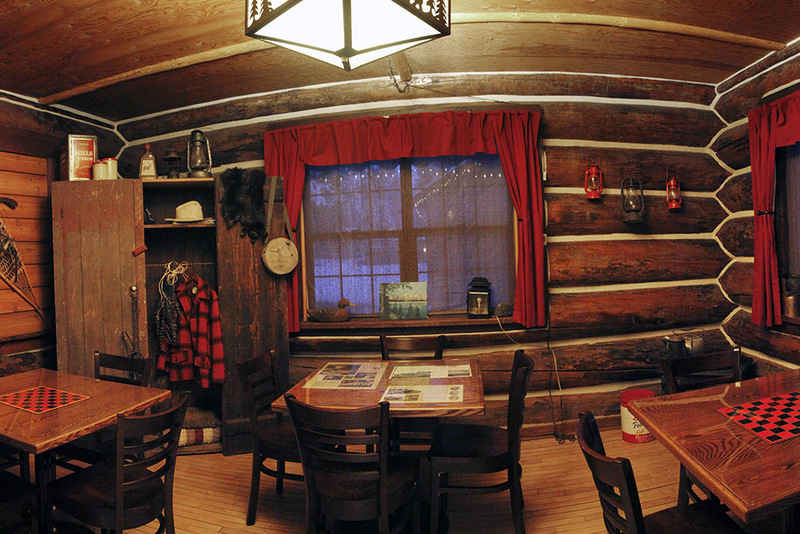 Prior to the arrival of the lodge, the only building on the property was a trapper’s cabin located in the current position of the Griz Cabin. The Rowles family rebuilt the lodge and made their home there for many years. The whole family lived in one room of the lodge during the busy summer months and retreated to Columbia Falls during the winter, operating the lodge itself as a restaurant famous for its chicken dinners and TV – which was quite the attraction in those days, even with static snow! Black and white postcard of Masonic Hall in Belton, MT. Log structure relocated to Martin City, now Tamarack Lodge. Date: circa 1920. Photographer: Ted Marble. 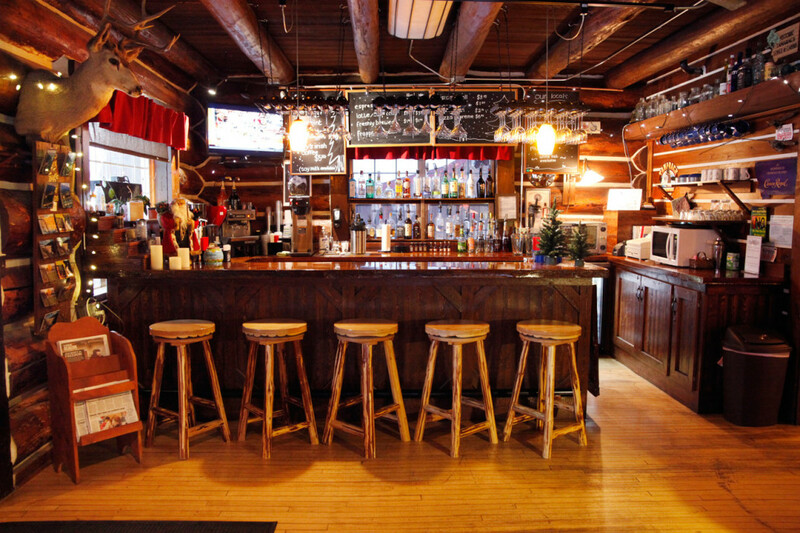 The lodge has always played host to travelers and passersby, serving the local community as a meeting place. Through the years it has hosted many weddings, dances and social gatherings and was even once used as a rollerskating rink. Stories of black bears in the wellhouse, escaped llamas, and construction drama live on as a charming part of its history and identity, and we are always interested to hear the personal stories of past owners and our guests who now visit from all over the world. All rooms and cabins are non-smoking. Please ask about established smoking areas on property. Pets are not allowed on our property at this time. Guests found to have had pets in their cabin or room will be charged a minimum of $100 for additional cleaning. Dog owners should also be aware that Glacier National Park does NOT allow pets on the trail system for reasons of wildlife conservation. 50% of total reservation is charged at time of booking as a non-refundable deposit. Remaining balance of total reservation is charged within 7 days of arrival. A cancellation within 7 days forfeits the full balance of the stay. Reservations can be moved without penalty, dependent on availability. Trip insurance can help alleviate the cost of unexpected cancellation. Sites like insuremytrip allow guests to compare rates and coverage 0f different plans. Depending on availability, we are willing and able to make changes to your reservation up to the day of arrival without additional charges. Children under the age of 18 must be accompanied by an adult while in the lodge. Lost room keys will be charged a $250 fee to cover the cost of lock replacement. All our guests are welcome to enjoy the ambiance of the lodge itself. Feel free to browse our library of books and maps.